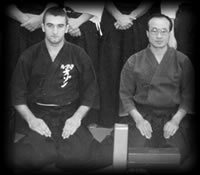 Ryogen Ryu™ is a martial art school founded by soke Hayashi Sansei (1914-1995), master in bujutsu (kendo-kenjutsu, iaido-iaijutsu, yarijutsu, suijutsu, naginatajutsu, and jujutsu) and the teacher of soke Ono Takashi. Ono sensei was the student of ryuso (the founder of the school) Hayashi. 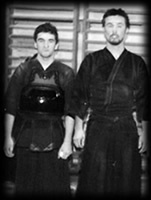 In his youth, like other students, Ono sensei was only interested in kendo-kenjutsu, the only student who learned iaido-iaijutsu, also was a former student, Ueno sensei. In 1995, soke Hayashi dies without naming an heir. Because he did not leave a densho (document), it all became kuden (oral tradition). The oldest and closest students of soke Hayashi, Ono sensei, Tsujita sensei, Ueno sensei, each received a letter from him in which they were told that when he will die, they should meet and talk, each of them being apart from one another, finding their own paths in life. 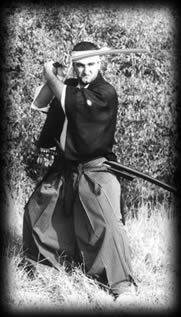 transmission (Koden), Ryogen Ryu™ Kendo, and because of this concept it was agreed that it would develop Ryogen Ryu™ Heiho Bugei, a school that would include many martial methods based on the principles of the old transmission. and two penmanships. On one it said Ryogen Ryu™ Heiho Bugei and on the other Ryogen Ryu™, with the signature of soke Hayashi Sansei. Ryogen Ryu™ means understanding all martial art principles by following martial practice. Ryo (Ko) means “to grab, to catch”, but Ono sensei used to tell that Ryo was translated by soke Hayashi by “fair”, and Gen means “mysterious”, but he used the meaning of another Kanji, origin. From soke Hayashi’s perspective what is most important is the correct, original, untouchable teaching of martial arts, but adapting ourselves to transmitting the true tradition in an era of permanent change. Ryogen Ryu™ wishes to reveal the essence of martial arts.